Treble Choir is a non-auditioned group of singers that sing in the treble range in grades 9, 10, 11 and 12. Emphasis is placed on the development of proper singing technique during the changing voice. Students will be introduced to sight reading with solfege syllables and hand symbols. Treble Choir is conducted by David Haas. Treble choir performs sacred and secular works from the renaissance Period through the present day. 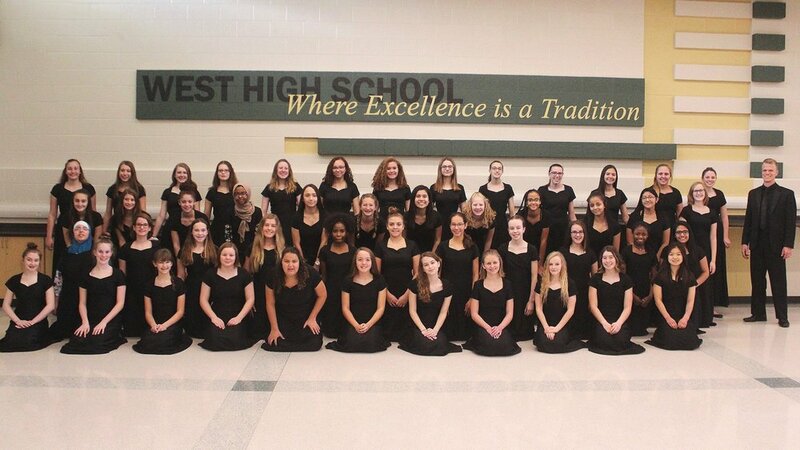 The choir performs at each West High vocal music concert. attendance at every performance is required and a graded part of the curriculum of this class. Students may also wish to participate in other extra- curricular offerings within the vocal music department, including show choir, Solo/ensemble festival, and other extra-curricular auditioned ensembles.